Paris could become home to an ecological complex in the near future, featuring, amongst other buildings, a 35-storey wooden skyscraper, which would make it the tallest tower of its kind in the world. According to ArchDaily, Canadian studio Michael Green Architecture (MGA) has submitted a project for the construction, in Paris, of the world’s tallest wooden building, standing at 35 storeys high. The skyscraper would form part of an architectural complex called Baobab, which would also include a number of residential buildings, a market, a bus station, a car park, a hotel and other facilities. The project was devised as an entry for the ‘Réinventer Paris’ [Reinvent Paris] competition, through which the French authorities are seeking an innovative urban development for the city. 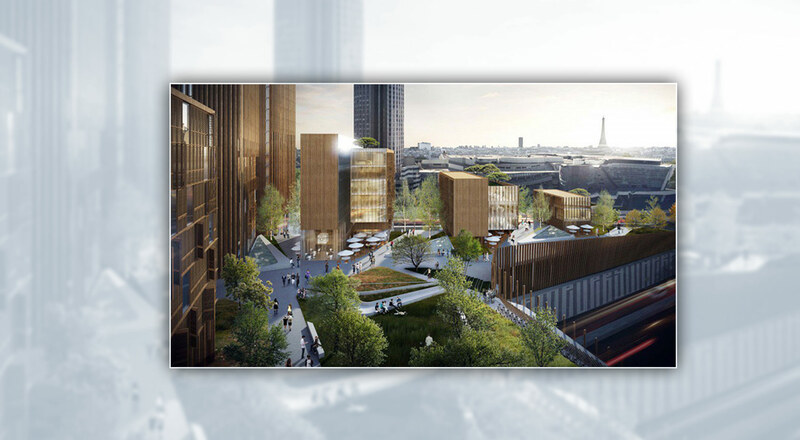 According to MGA, the idea has several advantages over other candidates, particularly from an environmental perspective given that the wooden tower would lead to a saving of some 3,700 metric tons of carbon emissions, an amount equivalent to keeping 2,207 cars off the road for a year. The project, which its developers describe as ‘the next era of city building’ will, however, only go ahead if it wins the competition, the results of which are due to be announced this summer.